Publications – Lois Abromitis Mackin, Ph.D.
“Finding Irish Immigrants in Passenger Lists,” The Septs, vol. 40, no. 1 (January, 2019), 138-143. “Using Special Collections, The Septs, vol. 39, no. 1 (January, 2018), 6-9. “Working with Church Records: a Mackin Case Study in Philadelphia,” The Septs, vol. 39, no. 2 (April, 2018), 38-46. “Finding Books on the Internet,” The Septs, vol. 39, no. 2 (July, 2018), 74-78. “Books and Articles about the Irish in Your State,” The Septs, vol. 39, no. 4 (October, 2018), 102-104. “DNA Evidence in the Case of Christopher and James Mackin of Dane County, Wisconsin,” The Septs, vol. 38, no. 1 (January, 2017), 6-13. “When Is a Mackin Not a Mackin? The Case of the James Mackin Family of Madison, Wisconsin,” The Septs, vol. 38, no. 2 (April, 2017), 38-46. “Book Review: Blaine T. Bettinger and Debbie Parker Wayne, Genetic Genealogy in Practice,” Minnesota Genealogist, vol. 48, no. 2 (summer, 2017), 26-27. “The Many Faces of Genealogy on Facebook,” The Septs, vol. 38, no. 3 (July, 2017), 74-75. “Social Media Resources for Genetic Genealogy,” The Septs, vol. 38, no. 3 (July, 2017), 85-87. “Approaches for Writing Family History,” The Septs, vol. 38, no. 4 (October 2017), 102-104. “Working with Names,” The Septs, vol. 37, no. 1 (January, 2016), 8-10. “Identity as a Research Tool,” The Septs, vol. 37, no. 2 (April, 2016), 46-51. “Be a Smart Genealogist on the Internet!,” The Septs, vol. 37, no. 3 (July, 2016), 74-76. “Book Review: Chris Paton’s A Decade of Centenaries: Researching Ireland 1912-1923,” The Septs, vol. 37, no. 4 (October, 2016), 114-115. “Approaches for Meeting Research Challenges,” The Septs, vol. 36, no. 2 (April, 2015), 64-66. “Never Forget Page 2…,” Minnesota Genealogist, vol. 46, no. 1 (spring, 2015), 20-22. “Finding Your Ancestor’s Irish Place of Origin,” The Septs, vol. 36, no. 3 (July, 2015), 88-90. “Military Records 101, part 1,” Minnesota Genealogist, vol. 46, no. 2 (summer, 2015), 15-18. “Getting Started with DNA,” The Septs, vol. 36, no. 4 (October, 2015), 110-112. “‘Green Genes” Acronym and Vocabulary List,” The Septs, vol. 36, no. 4 (October, 2015), 126-128. “Military Records 101, part 2,” Minnesota Genealogist, vol. 46, no. 3 (fall, 2015), 27-30. “Exploring AmericanAncestors: the Website of the New England Historic Genealogical Society,” Minnesota Genealogist, vol. 46, no. 4 (winter, 2015), 22-24. “Expanding Your Repertoire of Sources,” Minnesota Genealogist, vol. 45, no. 1 (spring, 2014), 20-21. “Don’t Be Narrow-Minded,” Minnesota Genealogist, vol. 45, no. 2 (summer, 2014), 23-24. “After Your Trip (and Before the Next One),” Minnesota Genealogist, vol. 45, no. 3 (fall, 2014), 22-24. “Branches, Clusters, and FANs,” Minnesota Genealogist, vol. 45, no. 4 (winter, 2014), 21-24. “Beginning Genealogy—Tips for Taking Good Advice with a Grain of Salt,” Minnesota Genealogist, vol. 44, no. 1 (spring, 2013), 26-27. “The Genealogist’s Calendar—Summer: Conference and Institute Season,” Minnesota Genealogist, vol. 44, no. 2 (summer, 2013), 25-27. “Montessori Organizing for Genealogists,” Minnesota Genealogist, vol. 44, no. 3 (fall, 2013), 29-30. “Creating a Personal Education Plan,” Minnesota Genealogist, vol. 44, no. 4 (winter, 2013), 21-22. 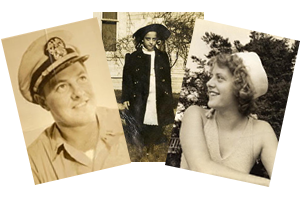 “Beginning Genealogy—Step 5: Use What You Learned,” Minnesota Genealogist, vol. 43, no. 1 (spring, 2012), 21-23. “Beginning Genealogy—Ten Genealogy Lessons from Your TV,” Minnesota Genealogist, vol. 43, no. 2 (summer, 2012), 21-22. “Beginning Genealogy—Slow Genealogy: the Antidote to Information Overload,” Minnesota Genealogist, vol. 43, no. 3 (fall, 2012), 17-18. “Beginning Genealogy—Seven Habits of Highly Effective Genealogists,” Minnesota Genealogist, vol. 43, no. 4 (winter, 2012), 17-18. “Beginning Genealogy—Step 3: Locate a Useful Source,” Minnesota Genealogist, vol. 42, no. 1 (winter, 2011), 17-1. “Beginning Genealogy—Step 3: Locate a Useful Source, Part II,” Minnesota Genealogist, vol. 42, no. 2 (spring, 2011), 16-17. “Twelve Days in May: Epidemic in the Family of William Abromitis of Schuylkill County, Pennsylvania,” Polish Genealogical Society of Minnesota Newsletter, vol. 19, no. 2 (summer, 2011), 1, 8-13. “Beginning Genealogy—Step 3: Locate a Useful Source [Part III],” Minnesota Genealogist, vol. 42, no. 3 (summer, 2011), 18-19. “Beginning Genealogy—Step 4: Learn from the Source,” Minnesota Genealogist, vol. 42, no. 4 (winter, 2011), 19-20. “Citing Your Sources,” Minnesota Genealogist, vol. 41, no. 2 (spring, 2010), 18-18. “Three Marys and an Eliza: Investigating the Trewren and Edmonds Families of Cornwall, Pennsylvania, and Connecticut,” Minnesota Genealogists, vol. 41, no. 2 (spring, 2010), 5-13. “Beginning Genealogy—Step 1: Write Down and Organize What You Know,” Minnesota Genealogist, vol. 41, no. 3 (summer, 2010), 11-12. “Beginning Genealogy—Step 2: Decide What You Want to Learn,” Minnesota Genealogist, vol. 41, no. 4 (fall, 2010), 13-14. “Checking Up on Granny Hazel,” Minnesota Genealogist, vol. 40, no. 2 (spring, 2008), 20-21. “Beginning Genealogy—5 Steps in the Research Process,” Minnesota Genealogist, vol. 41, no. 1 (winter, 2009), 24-25.